When you meet fellow travellers in hostels along the Aussie east coast, you will have the typical chat of ‘what are you most looking forward to?’ or ‘what has been your favourite place so far?’. Many of these conversations will cover skydives or bungee jumps, however 9 out of 10 people will agree that the Whitsundays and Fraser Island were a highlight of their trip and are a must visit for everyone… which I couldn’t agree with more! For those who don’t know what Fraser Island or the Whitsundays are, they are two of the most picturesque locations Australia has to offer. 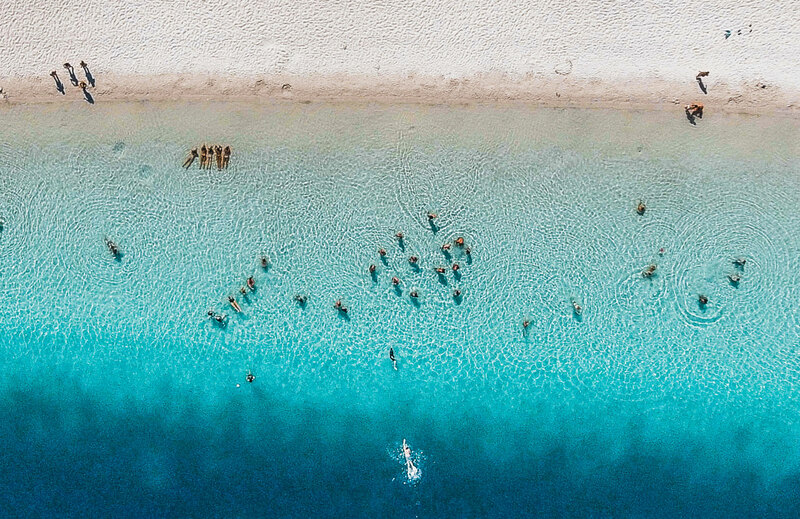 Both located off the coast of Queensland, Fraser Island and the Whitsundays are two different environments where one can fully immerse themselves in an adventure and break away from the hustle & bustle of the mainland. Even if it is just a day trip or a longer stay, in my opinion you cannot say you have experienced the East Coast unless you’ve been to these magnificent places. In this short piece I’ll give you my reasons why Fraser Island and the Whitsundays have to be on your Australian Bucket list. Stretching over 100km in length, Fraser Island is the largest sand island in the world and it is truly a place of paradise, beauty and adventure. With a mixture of incredible beaches, beautiful inland lakes and dense forest, Fraser Island is a sensory overload and offers something for everyone. It doesn’t matter what sort of person you are and what you enjoy, Fraser Island taps into everyone’s sense of adventure and you can’t help but be filled with excitement as soon as you drive onto the island. From driving along Seventy-Five Mile Beach with the sun setting and the waves crashing, to diving into crystal clear waters of Lake McKenzie, or trekking to Indian head, your days are filled to the max visiting some of the most unforgettable and beautiful places you will ever visit. You will never forget what Fraser Island has to offer. 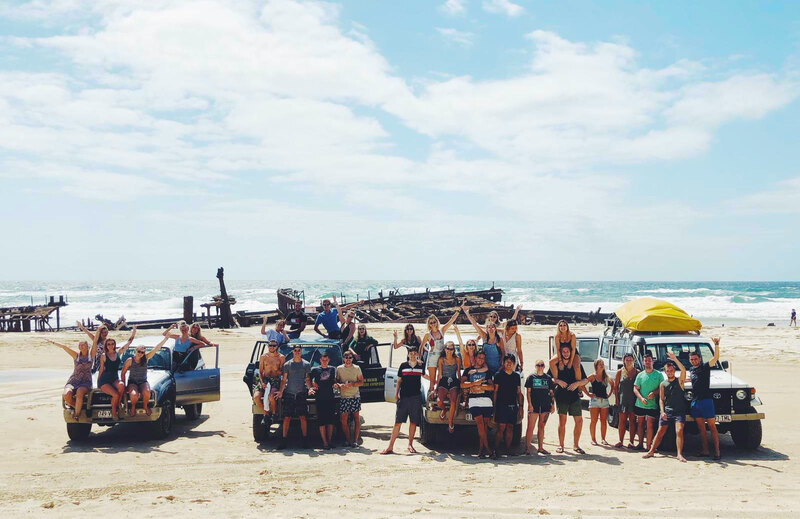 With the Ultimate East Coast tour, you spend 3 days on Fraser Island with a 4×4 tagalong tour where you get to drive the 4×4! You get the personal excitement of doing some real off-roading; whether it is battling through soft sand on the beach or rough tracks in the rainforest, you won’t be able to stop smiling. The 4×4’s have access to much more of the island than the big buses due to conditions and size of the tracks. Alongside this, the friendships and social interactions that are made on the numerous journeys you make while exploring the island provide a completely different element to the experience you will have. The Whitsundays are a collection of 74 continental islands off the Central Coast of Queensland, which offers any backpacker the chance to witness some of the most incredible landscapes you can see, not just in Australia but across the world. Made up of beautiful remote beaches and secluded bays alongside vibrant coral reefs, the only way to see it all is by cruising around on a boat. On your boat, you will be able to see the sun rise and set over majestic islands that make up the Whitsundays, for many people, this alone is enough to book a trip right away … however there is so much more to these islands. Although the landscape and wildlife is any photographers dream, (your camera roll will fill up quickly!) the best way to fully experience your trip is by turning your phone off (unless you’re the boat dj, in which case you have a very important job). When you first set sail from Airlie beach with the tunes playing, you will immediately realise how much fun you are going to have. Sailing around the Whitsundays is a dream come true. 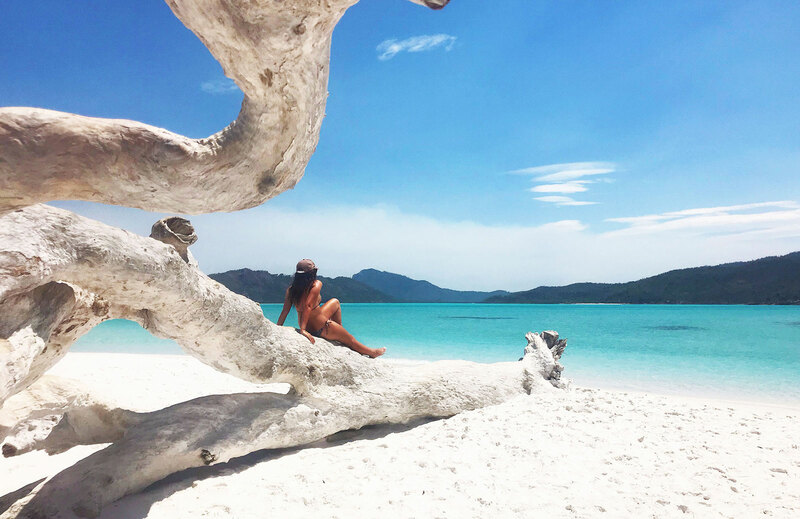 During the day you will see the flowing white sands of Whitehaven beach, swim amongst vibrant and busy coral reefs, and mess about in the water with some of the most incredible backdrops. The evenings are just as busy socialising with your fellow crewmates, dancing the night away and simply lying underneath the stars listening to fish which have come up to the surface to feed. I can guarantee when you return to Airlie beach and take that first step back onto the jetty you will want to go again straight away. From my personal experience I can’t express enough how much fun and how incredible the Whitsundays are – if I could go back to anywhere I visited on the East Coast, this would be my first stop. Although I could have written a whole book on how good both Fraser Island and the Whitsundays are, I have shared just a short snippet of the reasons why Fraser Island & The Whitsundays should be on your Aussie bucket list. So go out and see them straight away. I saw both of these incredible locations through travelling with Ultimate Travel on their East Coast Adventure and I am so glad I did. Through this trip I was able to see these amazing places with a great group of people who I now call some of my closest friends. I have made memories for life. If you are thinking of travelling the East Coast of Australia and are trying to put a plan together, these places should be #1 and #2 in the places you want to visit. Thanks to Owen for writing this fantastic blog about the Aussie East Coast! If you want to see more of his content, check out his website here.